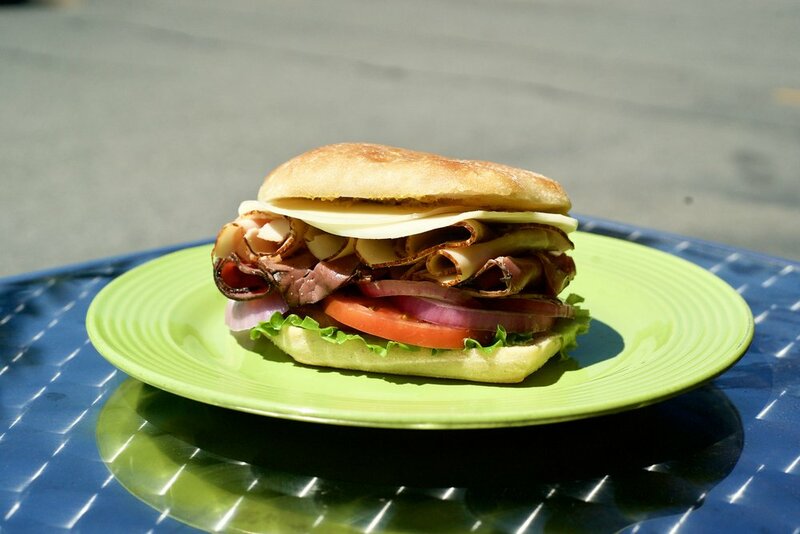 At Methow Valley Thriftway, we create a delicious assortment of house-made sandwiches, salads, soups and hot foods daily. Each and everyone of our signature deli and bakery items are crafted in our own kitchen from the best ingredients we can source. 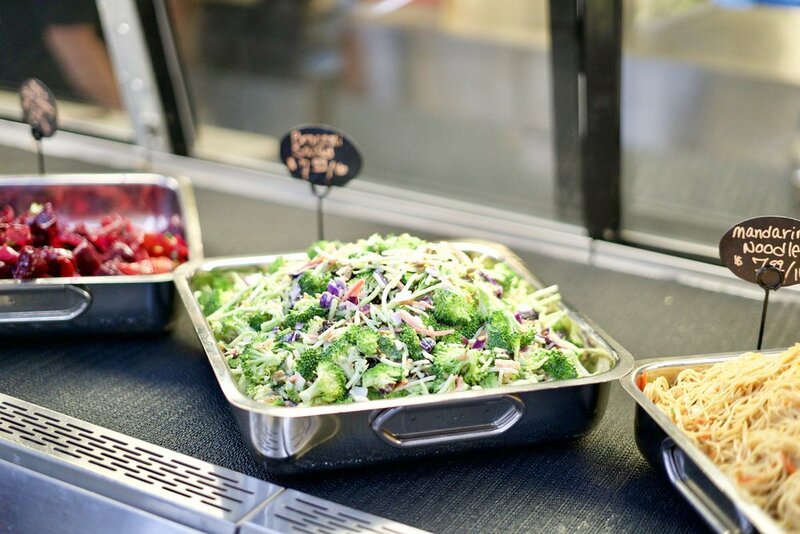 Stop by for a snack, lunch or to pick up a meal for later. There’s nothing better than homemade soup and salad, so our kitchen staff takes pride in creating a fresh daily house-made soup and salads prepared using fresh ingredients. Our soups and salads are made fresh each morning and are available to eat in or take home. We feature one freshly made hot soup each day as well as several others packaged and ready to take home and enjoy. While we feature seasonal selections, our current menu is listed below. Our kitchen staff creates a wide array of sandwiches daily using fresh meats and cheeses and the best breads and rolls available. From traditional roast beef and Turkey, to our signature selections, each one is made daily and pairs well with our house-made soups and salads. Our hot food selection is second to none. Each day we feature a selection of freshly smoked meats, hot and ready to enjoy in our seating area or to take home for a quick and tasty meal. Our signature house smoked baby back ribs are ridiculously awesome and come with a dry rub or covered in caramelized house-made BBQ sauce. Our house-smoked pulled pork is available daily as well. As the perfect side, you really need to try our hand cut russet potato wedges with our house-made ranch dressing, or our mac and cheese available daily. Our fried chicken and chicken strips are double breaded for crispness with a blend of secret seasonings and prepared several times daily. 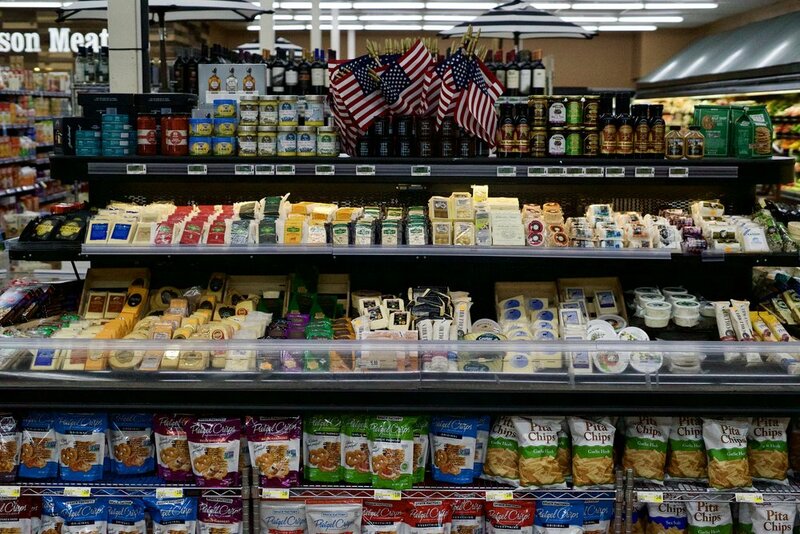 Our Deli staff has assembled a wide variety of specialty meats and cheeses to satisfy every budget and taste. From numerous specialty cured meats to cheeses from near and far, each item has been selected to ensure you will always find something new and exciting to try when you shop our store. In addition, we’ve assembled a nice selection of specialty olives, spreads and dips to make sure there’s something everyone can enjoy.